I set this up last night in the basement– still a work in progress, but I wanted to share. The space is delineated by my artist table on one side and my desk on the other, and the crates of books along the backside. There is room for the cats to play too, so hopefully they don’t play with my pens and papers instead! 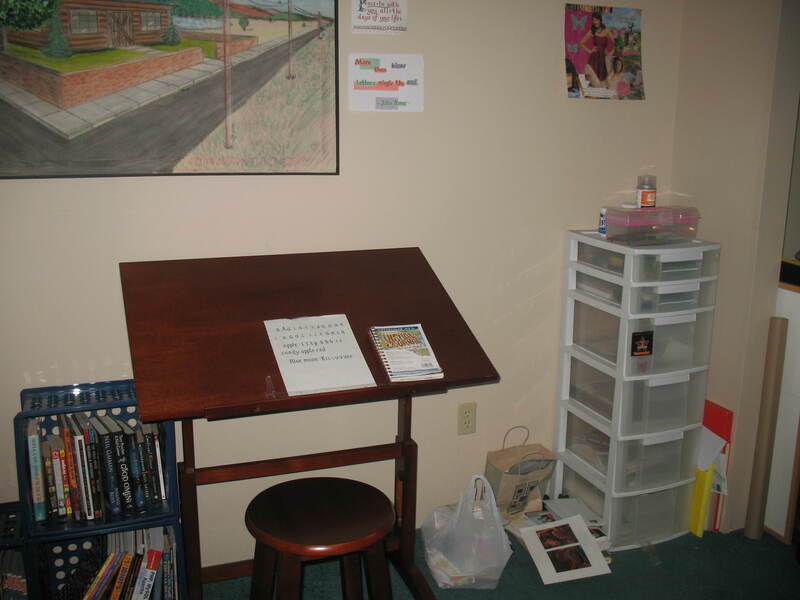 This is my artist table where I do my calligraphy. The plastic drawers on the right are where I keep my tools and supplies. The books on the left are for inspiration. 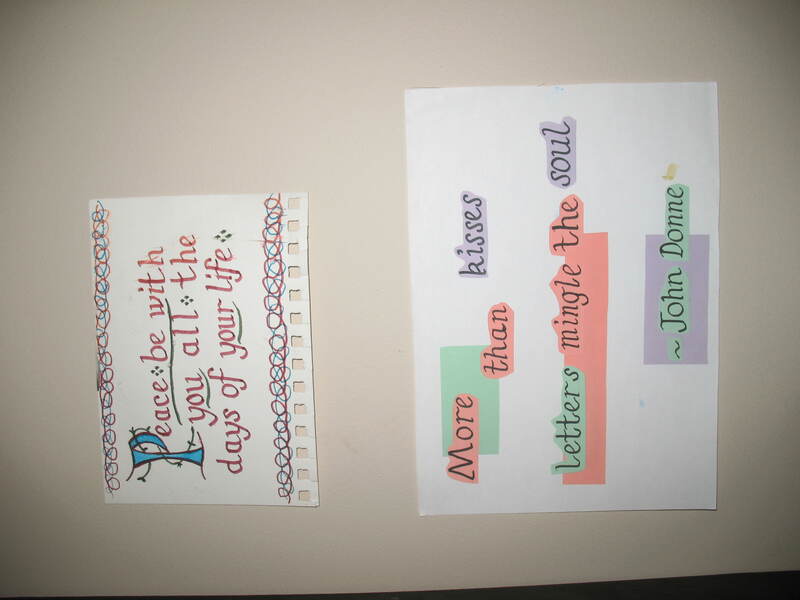 Here is a close-up of some of the calligraphy projects I’ve done.